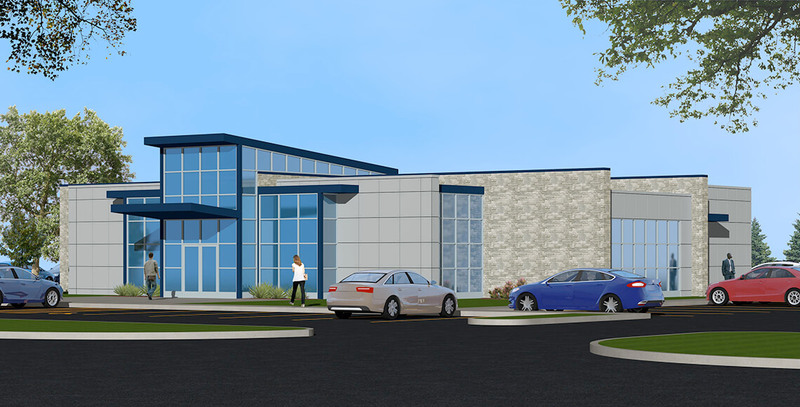 Grinsfelder Associates is pleased to be working with Romary Associates on the design and construction of a new, 6,000 square foot federal credit union located in the City of LaPorte, Indiana. The facility will feature four interior teller lines, multiple drive-thru lanes, and loan and member service offices. In addition, several offices and a board room will house the administrative functions for the credit union. All of these features will be housed in a contemporary building accentuated by the credit union’s corporate colors. Construction is expected to begin in the spring of 2018 with completion before the end of the year.